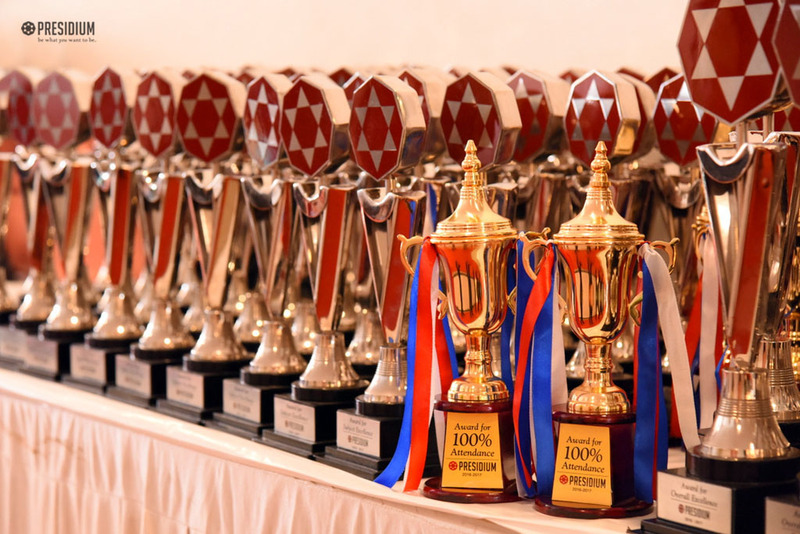 Excellence is not a destination; it is a continuous journey that never ends! 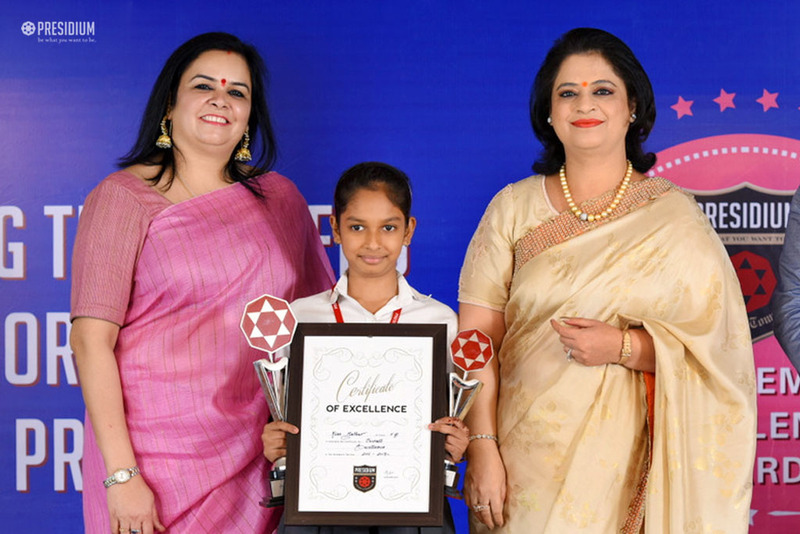 A time-honoured academic tradition, the Academic Excellence Awards was recently celebrated by Presidium Gurgaon with awe-inspiring grandeur and solemnity within the school campus. 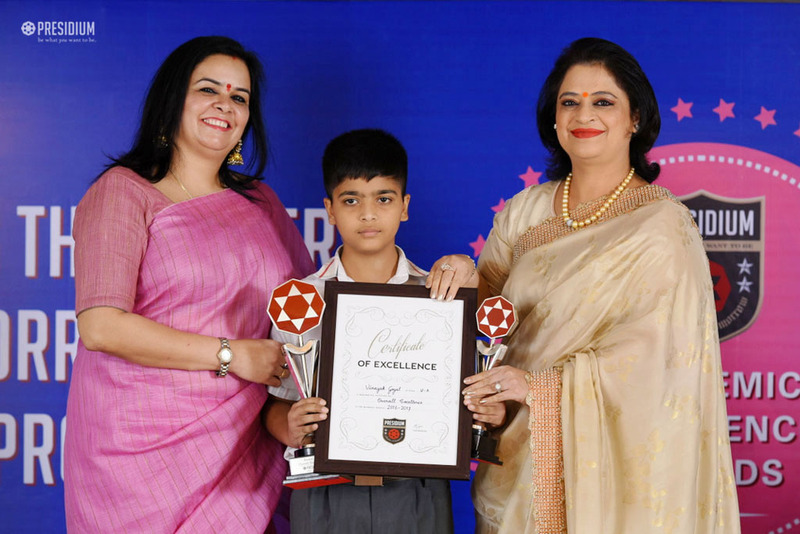 Graced by our school's honourable chairperson, Mrs. Sudha Gupta, Ammaji, Mr. Vikas Chawla and other dignitaries, the ceremony acknowledged and appreciated the academic achievements and 100% attendance of the young Presidians. 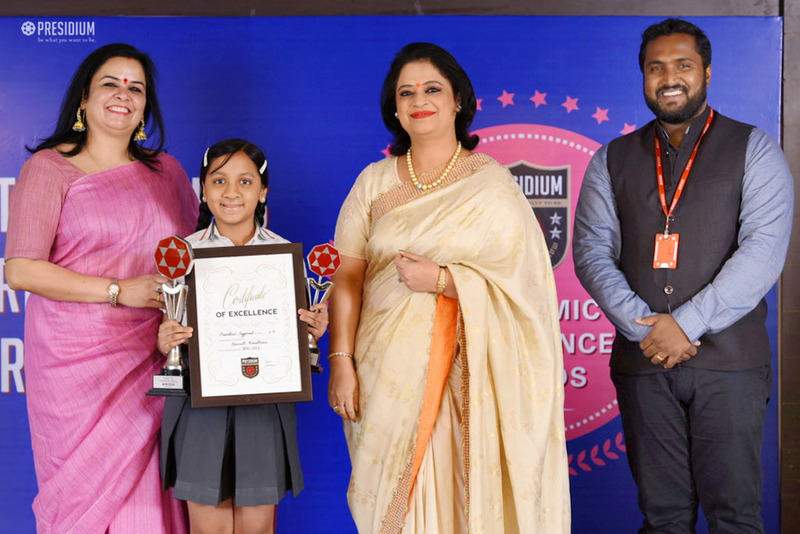 It was made even more special with the benign presence of the proud parents of the awardees. 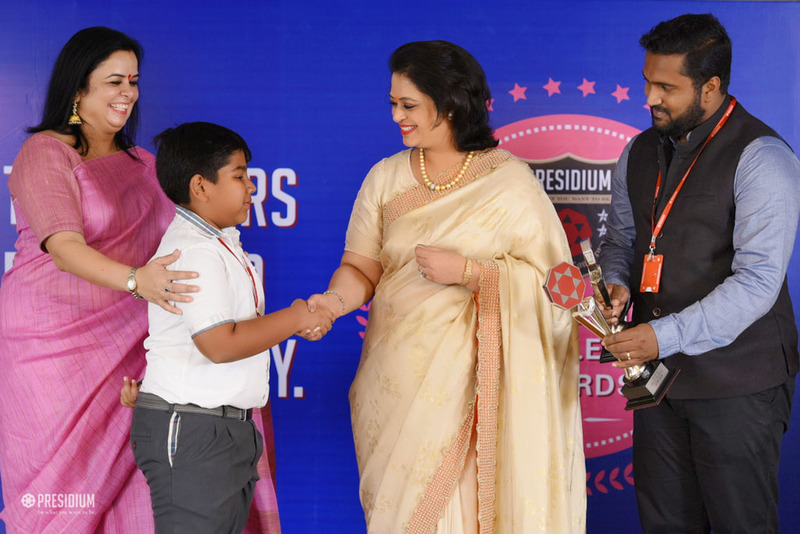 While addressing the august gathering, Sudha Ma’am congratulated the young achievers and applauded their hard work, whose academic contributions had made it possible for the school to reach the pinnacle of success. 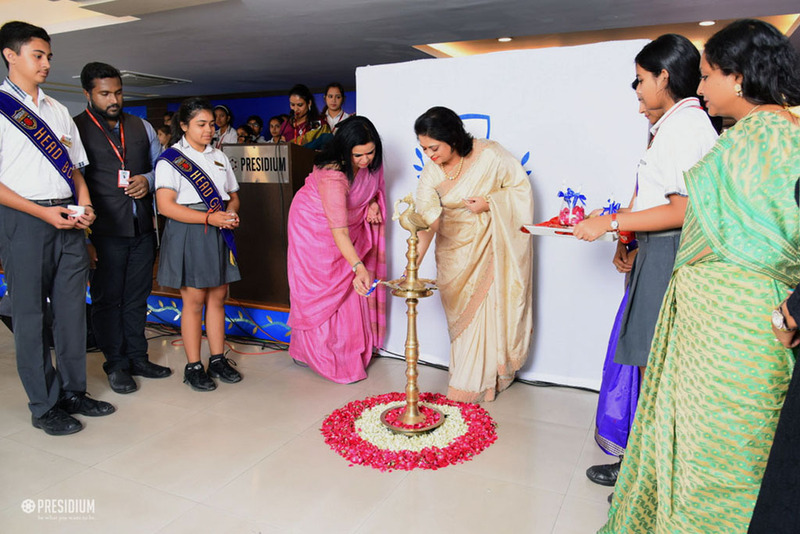 She also congratulated the parents and teachers for working cohesively towards holistic development of the students. 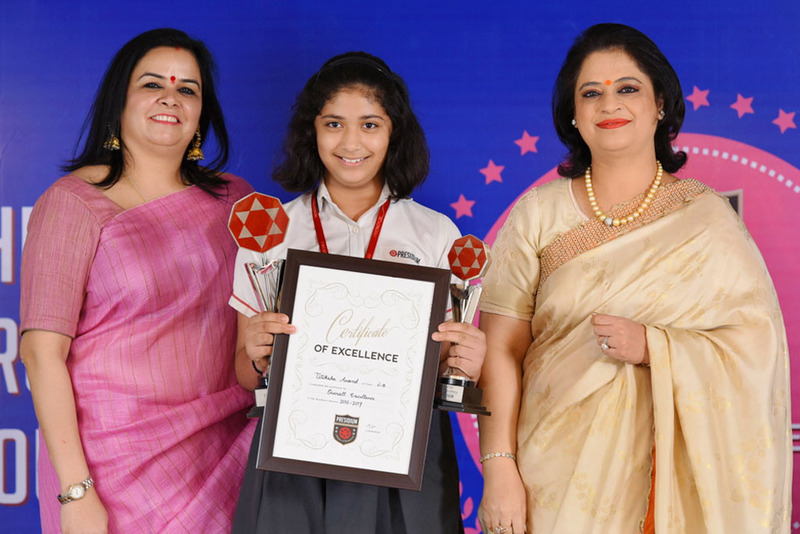 Acknowledged with trophies and certificates, the recipients felt proud and their parents were exuberant. 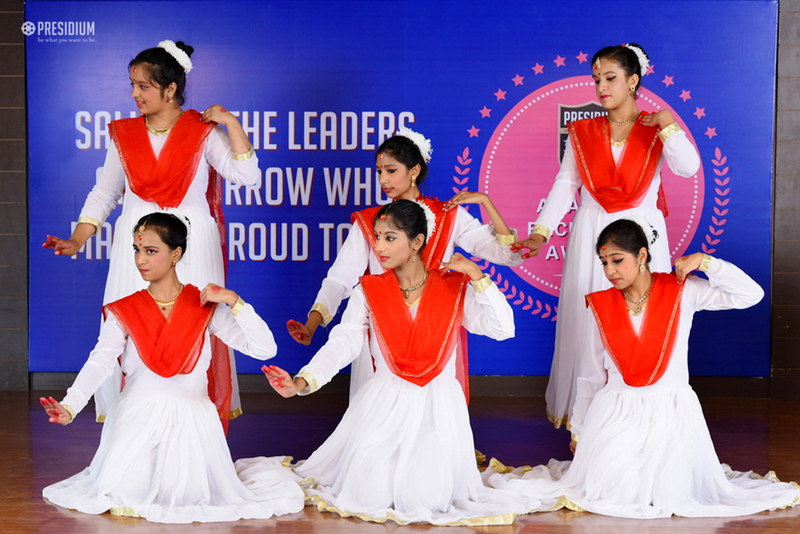 Some key highlights of the event were a wonderful dance performance on devotional 'Sarasvati Chalisa' and the soulful singing of our young singers. 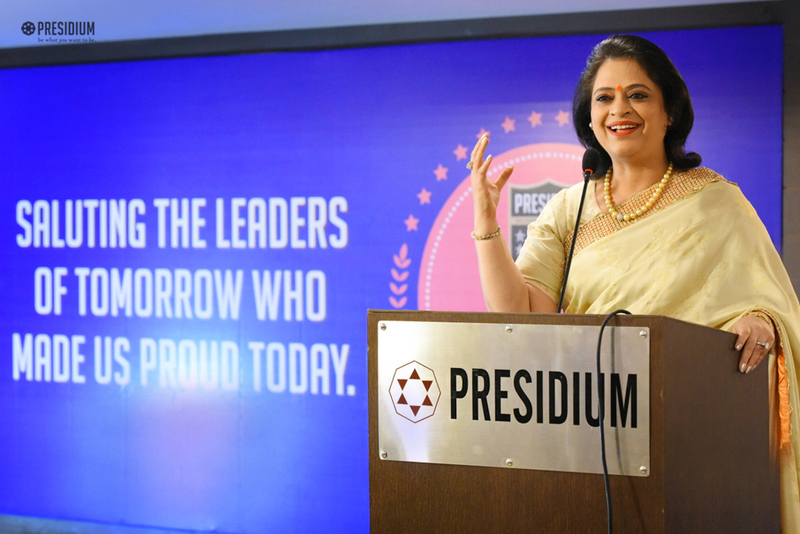 Encouraging the 'leaders of tomorrow' to set new goals for themselves and awakening a new hope and insight in their hearts, the event was a huge hit.